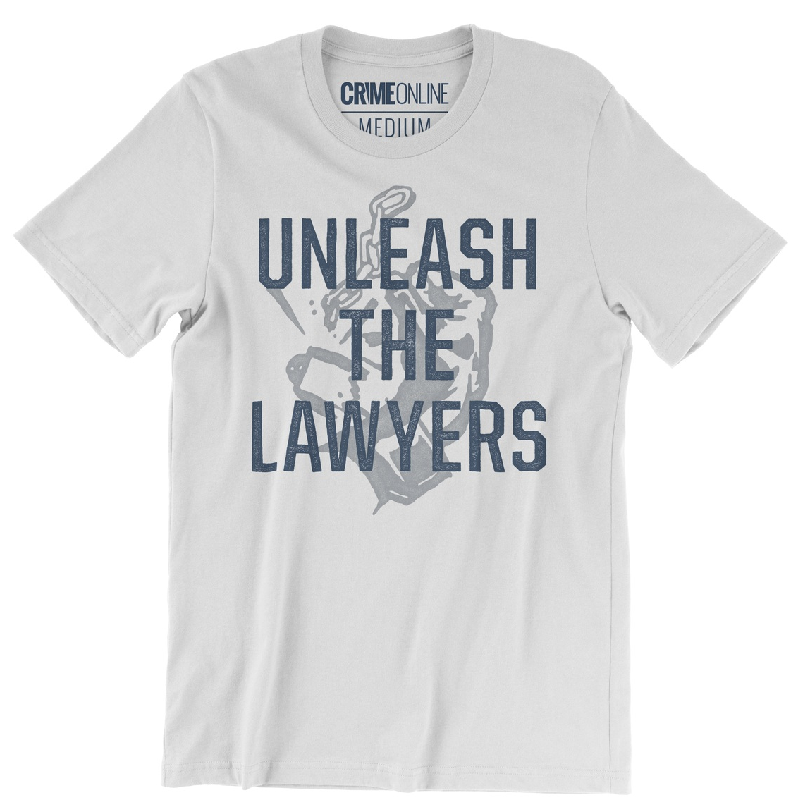 This is a fabric laundered, 4.3 oz., 100% combed ringspun cotton white tee. 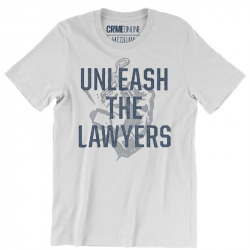 Unleash the Lawyers design on the front. 19" 20-1/2" 22" 24" 26"